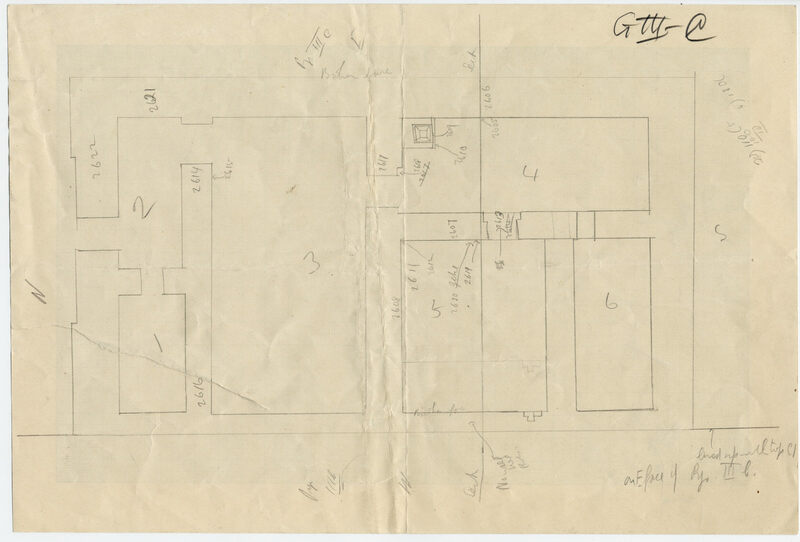 The layout of the rooms on this plan matches those of G III-b Temple; however, the proportions of this drawing are substantially different from those in the published plan. See Reisner, George A. Mycerinus: The Temples of the Third Pyramid at Giza. Cambridge, Mass. : Harvard University Press, 1931, plan VI.